In this issue of Mallorca im Überblick! : MALLORCA IM ÜBERBLICK! 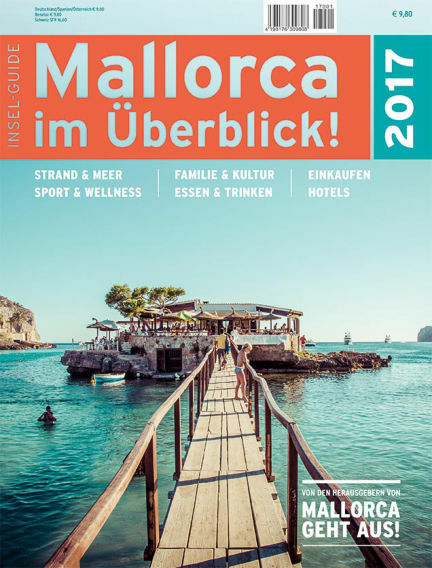 ist das neue Magazin für alle Mallorca-Reisenden, die auf der beliebten Baleareninsel individuell - entspannten Urlaub machen wollen. With Readly you can read Mallorca im Überblick! (issue 01-2017) and thousands of other magazines on your tablet and smartphone. Get access to all with just one subscription. New releases and back issues – all included.